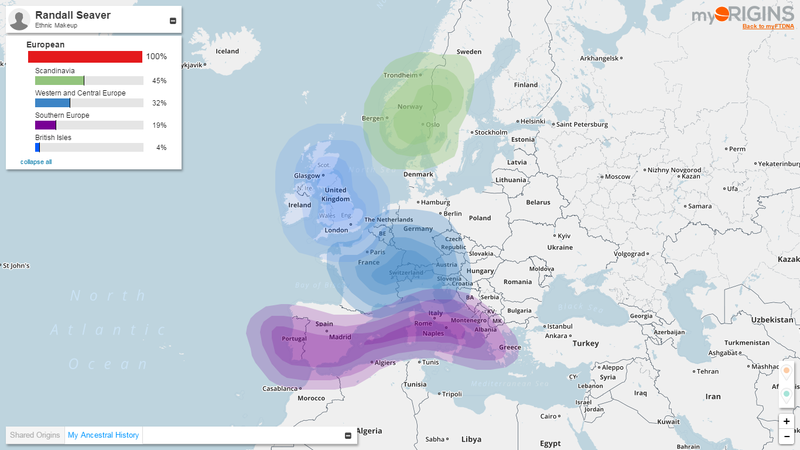 FamilyTreeDNA recently improved their ethnicity estimates, based on user's autosomal DNA test results. * < 2% West Middle East. * Western and Central Europe goes from 32% to 0%. 3) So how does the FTDNA ethnicity estimate match the estimates from other DNA test companies? This is really baffling to me. How can the ethnicity estimates be so different from the three largest autosomal DNA test and analysis organizations? The answer must be the "reference populations" used by each company. * < 1% Native-American (probably in Quebec). Of course, 500 years ago is not 2,000 years ago. No doubt several significant populations populated the British Isles. 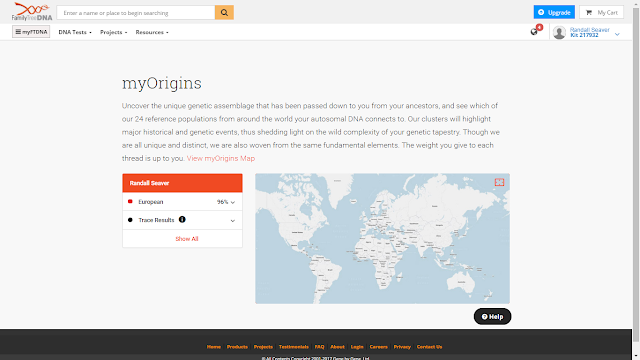 4) My opinion, which probably doesn't have much value, is that the new FamilyTreeDNA ethnicity estimate is the most inaccurate of all of them, and that the 23andMe estimate is the most accurate of all of them, and comports fairly closely to my "paper trail" ethnicity estimate. I just looked at MY new FTDNA ethnicity and found it gave me 26% Scandinavian. This drives me crazy. 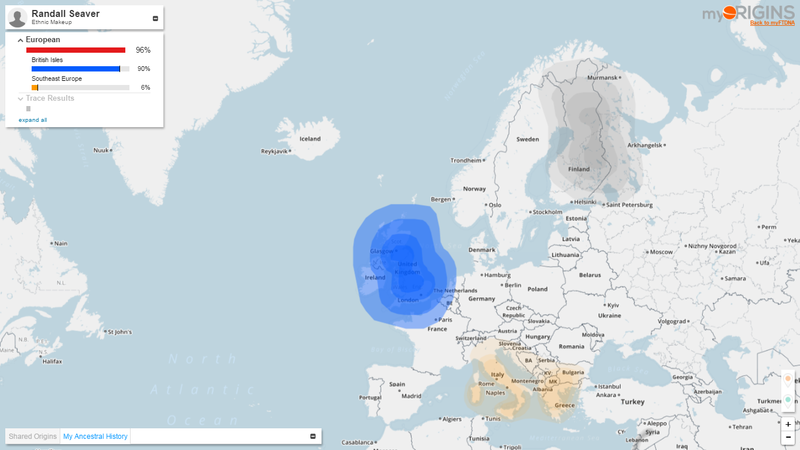 I have no documented Scandinavan I know Vikings were certainly around the British and Irish, but I suspect the 23andme DNA projection of 2% Scandinavian to be much more realistic. 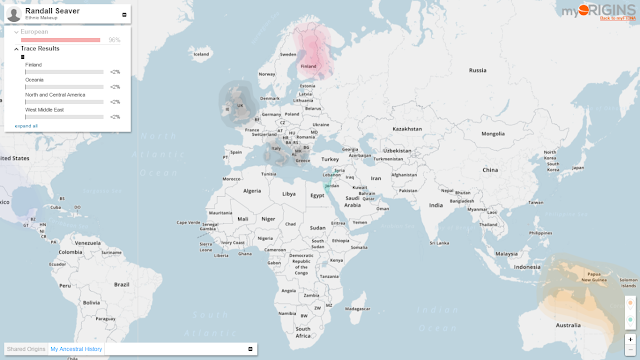 My ancestors who were findable are almost entirely in the UK and Ireland. I am 1/32 German as well. 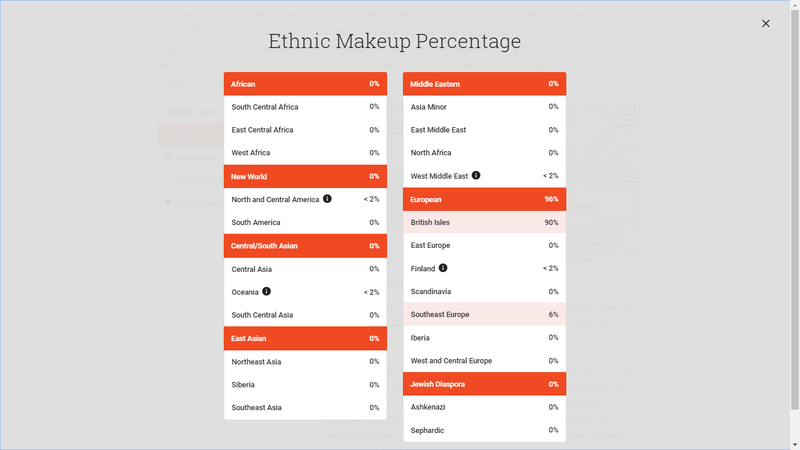 I understand ancient ethnicity and it makes sense, but giving me 26% Scandinavian ancestry is insane. So I wonder how on earth they came up with this new mix.